I’ve been on this baby shoe kick lately. They are fun to make and who doesn’t love to decorate their babies with awesome gear! After receiving a special request from an old friend, I attempted a Dallas Cowboys infant set. The fabric is in a collage form with the word “cowboys”, football helmet, and team star logo so it was a little tricky but I was able to cut the shoes just right. I am very happy with how they turned out. The request I had was for 2 pairs of shoes and I didn’t want both to be exactly the same. I moved the logos around a little bit to give it some variety. These are perfect for coming football season. I myself am not a Cowboys fan, but I was excited the shoes were just what my friends wanted. The only thing left to do was go back to the fabric store to even out the playing field with the other football favorites. 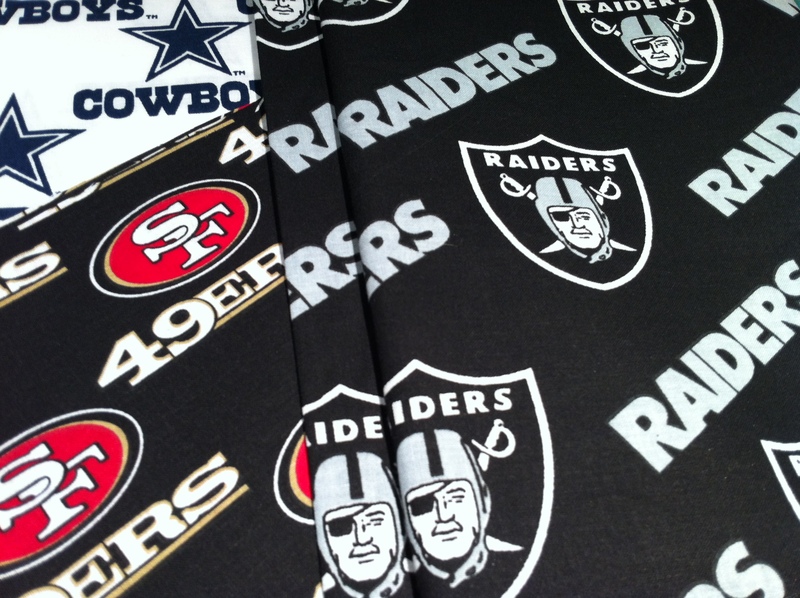 Luckily the NFL has licensed fabric for several popular teams. I picked these bad boys up and am will be putting together some more tiny footwear! 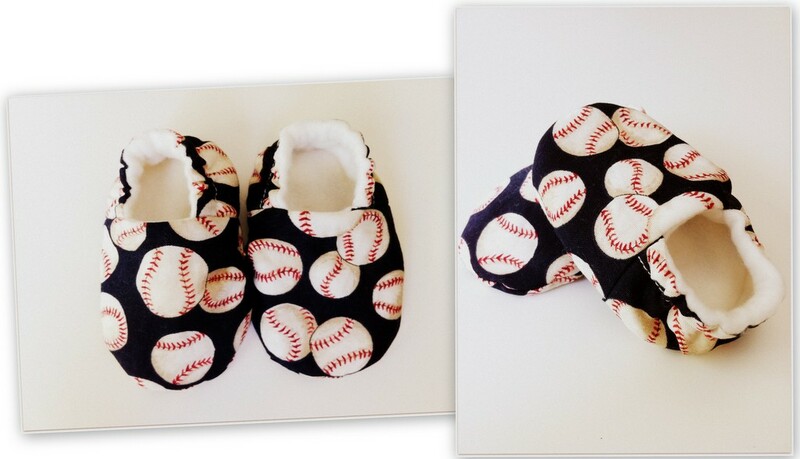 In other sports related requests, a co-worker asked for a pair of baseball booties in the exact same style. After obsessing over several baseball fabrics, I chose one with tiny little baseballs on navy blue background. All the sports booties are lined with super soft fleece for extra comfort. I’m loving putting these little treasures together. I’m happy to be helping make sports fans out of them early!